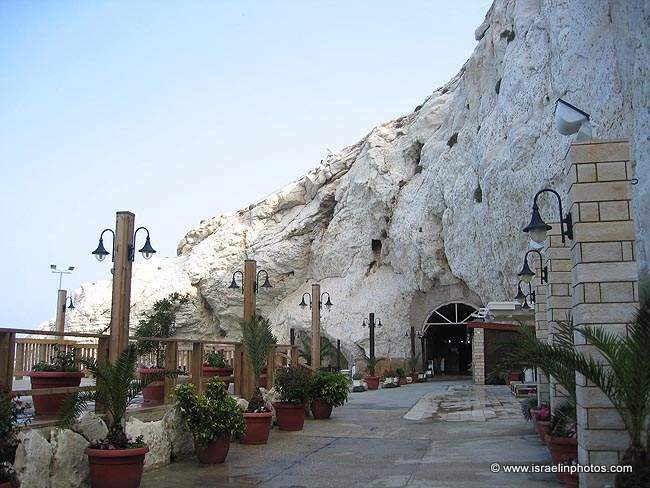 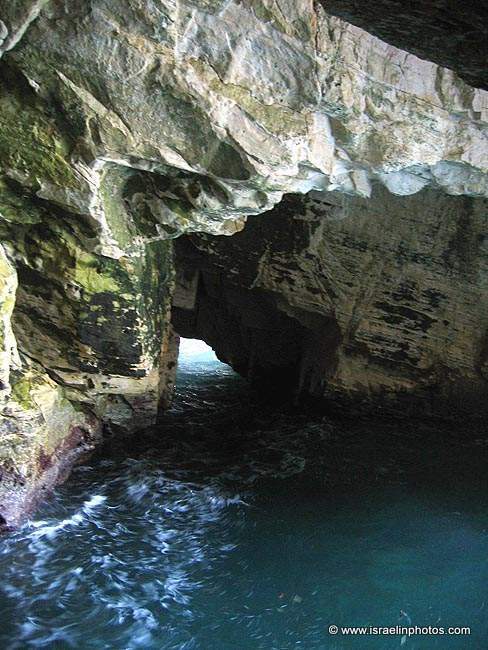 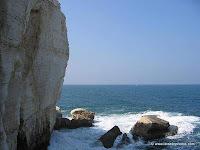 Rosh HaNikra grottoes (Western Galilee). 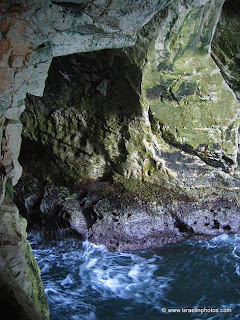 Rosh HaNikra is a translation of the Arabic name "Ras-a-Nakura", meaning the head of the grotto. 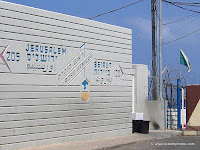 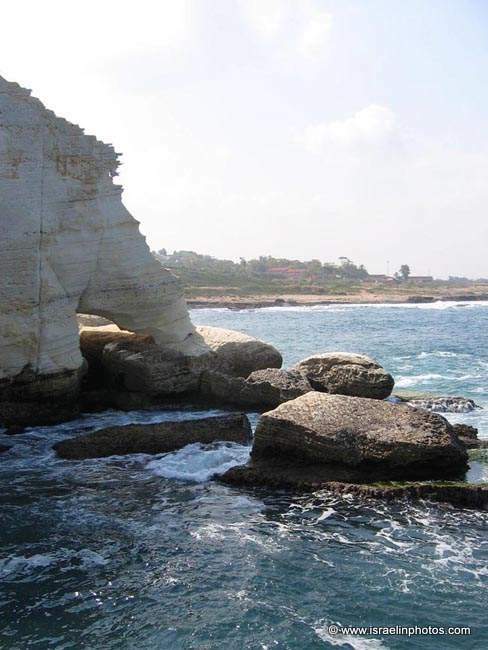 Rosh HaNikra is in the northwestern corner of Israel, on the border of Israel and Lebanon. 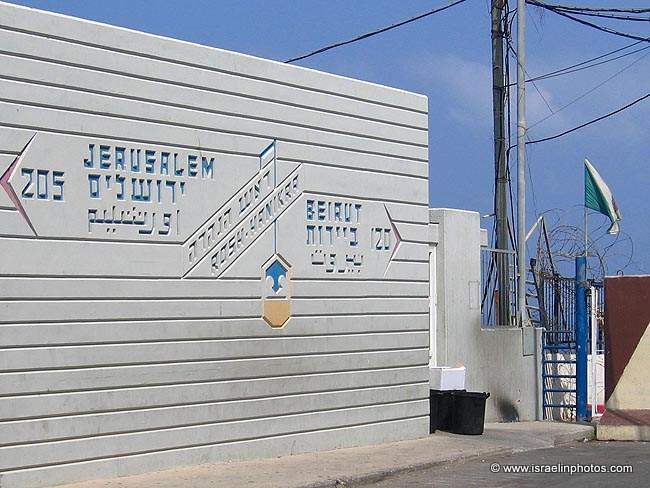 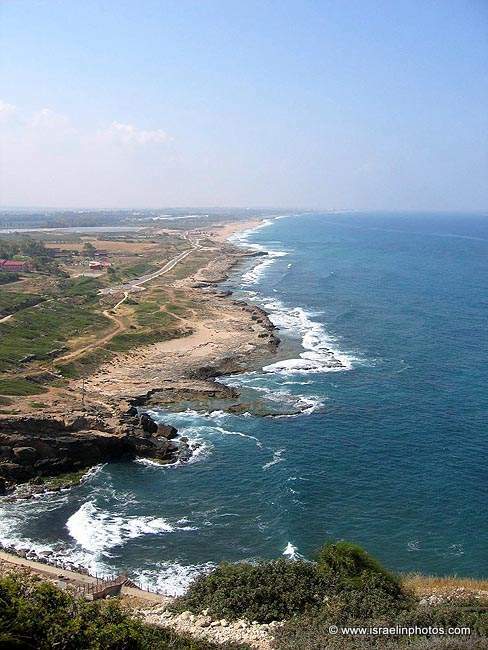 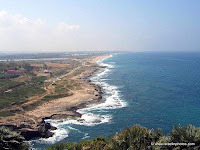 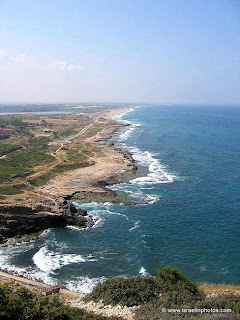 And it is the southernmost point of a range of hills along the Mediterranean coast, known as the Ladder of Tyre (which is in Lebanon). During the Second World War the British built a railwayline from Egypt to Europe via Israel,Lebanon and Turkey. 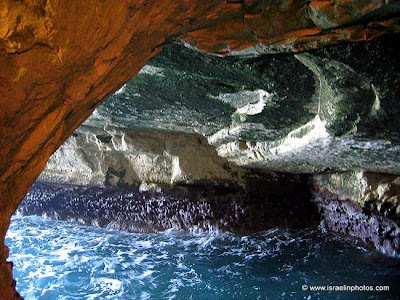 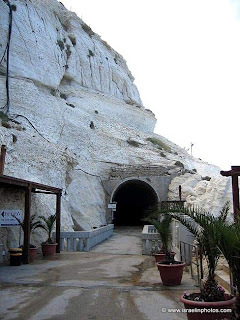 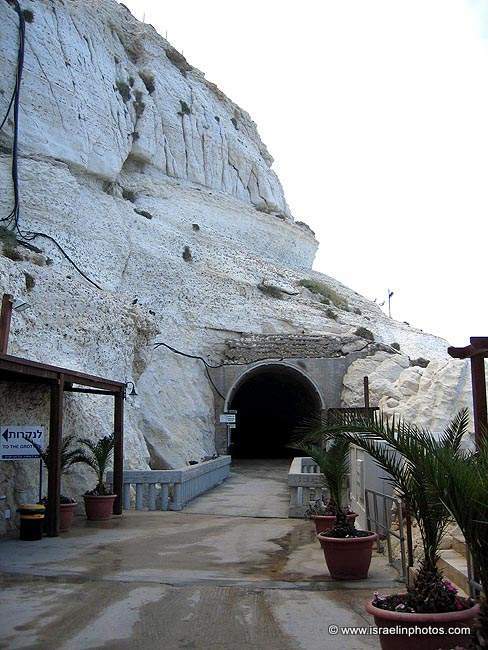 The tunnels in Rosh HaNikra are about 190 meters long, joined by a bridge outside the main grotto. 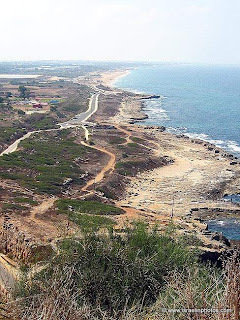 This was done to connect the local and Lebanese rail networks and to establish a continuous rail route from Egypt via Sinai, Palestine, Lebanon, Syria and Turkey to Europe for troops and supplies.